1. What you'll need: Start with a glass bottle with a wide base and a wide opening you can easily get your hands into to plant your mini indoor garden; it'll provide the plants with good ventilation, too. 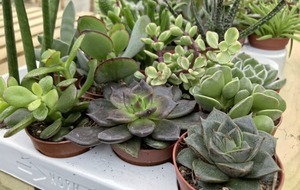 You'll need a small bag of potting grit to allow drainage and a small bag of cactus and succulent potting mix. Plants are key. Use denominations of odd numbers, which are easier on the eye. 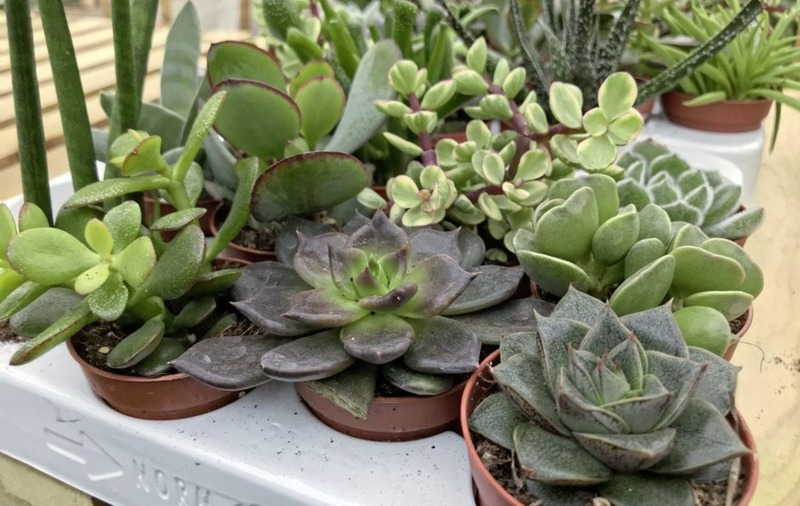 Cacti and succulents are the ideal choices. You can use upright sansevieria to create height, while aloe vera, cacti, echeveria, sempervivum and Crassula ovata (money plant) are all suitable to grow in a bottle. 2. Create good drainage: Potting grit in the base of the bottle needs to be around 2in (6cm) deep. Press and smooth the grit so there are no air pockets, then make a slight dip in the centre, into which you'll pour the potting mix. That way, the compost won't touch the glass and you will be left with just the grit and the plants visible from the side. 3. Pour in the potting mix: This is made from compost ideal for cacti and succulents. Pour it carefully into the dip in the grit. Create a small mound – the plants won't need much root depth. 4. Position your plants: Use taller plants like upright sansevieria at the back and low-growing plants such as sempervivum at the front. 5. Finish off with another layer of grit: This will hide the compost completely. Take care not to damage your plants – use a small, clean paintbrush to dust any grit off the leaves. 6. Water sparingly: Water lightly once or twice a month in the winter. Water on the leaves can lead to rotting. If you see water pooling at the bottom of the bottle, you've gone too far but if you put your finger in the compost and it comes out bone dry, you may need to add water. 7. 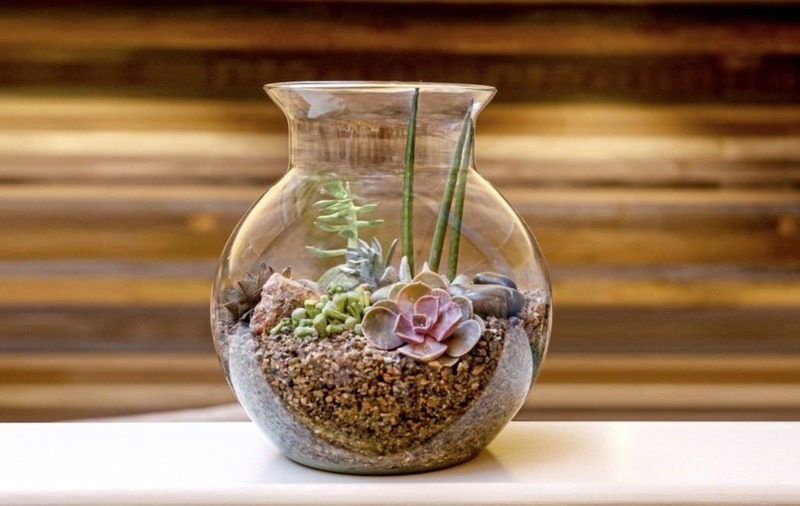 Give them light: Succulents and other bottle garden plants need plenty of light, but preferably not direct sunlight, which can scorch the leaves. Don't put them close to radiators.